This awesome product is sure to put a smile on everyone's face! The Smilin' Eye Poppin' Pal is an amusing stress reliever. 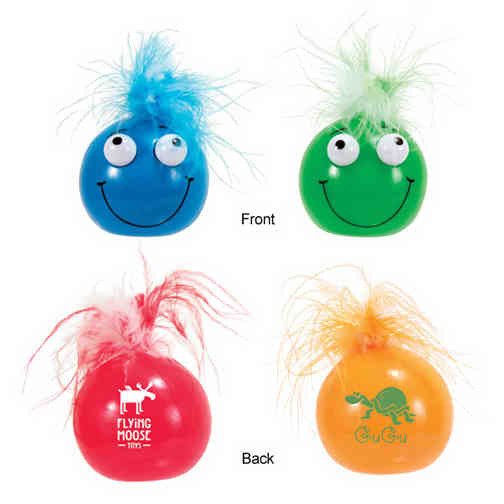 With eyes that "pop" when squeezed, this fun item features feather-like hair and is available in a choice of vibrant colors. Add this great item to a client giveaway bag during your company's next promotion. This is a fun way to promote your business, so be sure to pick up yours today. This item is design protected. Special.